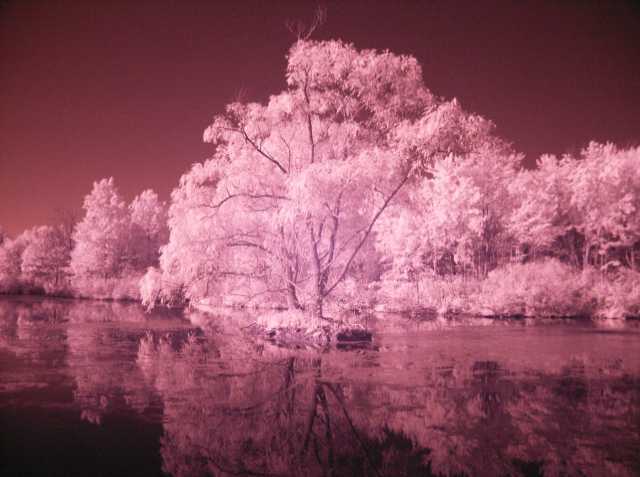 Taken with a Minolta Dimage 7 digital camera with a tiffen infrared filter. Hopefully I'll be able to play in infrared some more this summer. Nice job. Sure can give you a winter wonderland in the middle of summer. I really like the effect I get with the filter. Too bad the filters have become so expensive these days. They're about twice as much as when I got mine. I'm going to try experimenting on different flowers and other objects.